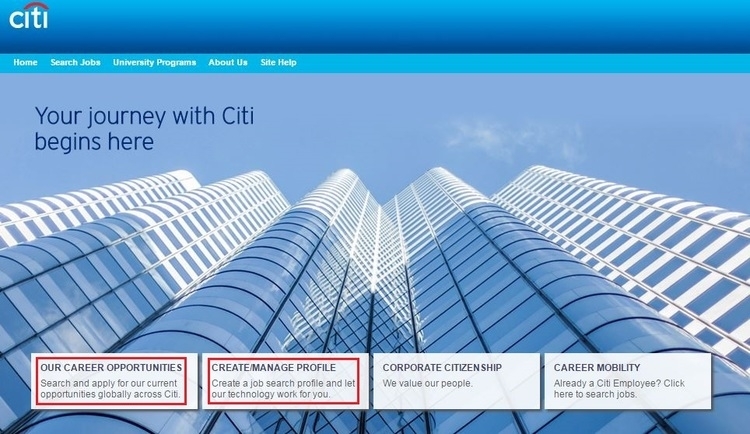 When you visit citigroup.com/careers, you will find three ways for your application where one of the method is provided for a Citi employee. If you’re new to Citibank, you can either choose “OUR CAREER OPPORTUNITIES” or “CREATE/MANAGE PROFILE”. If you use the precious way, you must enter at least two letters for the job search, then click the “Go” button or select an open position after you finish the job description. If you turn to the latter, what you need to do is log in or create a new account if you have never registered before. Here, we will introduce you the specific information about “Search” to give you more clear instructions of applying for a job in Citibank. Here, we will introduce you the specific steps for you to successfully complete your online application. When you begin with your application, you have to apply for a new account of Citibank if you are a new user. Or, if you're a returning applicant, you can use your previous user name and passport and simply log in. 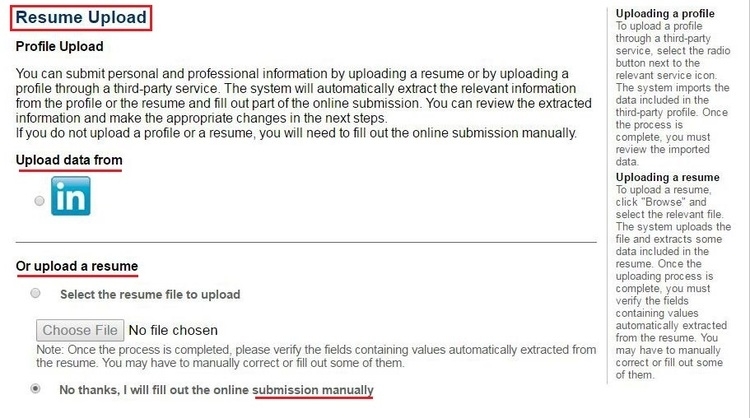 After you’ve logged in, and created the security questions, you are asked to upload your personal profile or resume through a third-party service or on your local computer or if you don’t want to, you can also choose to fill out the online submission manually. 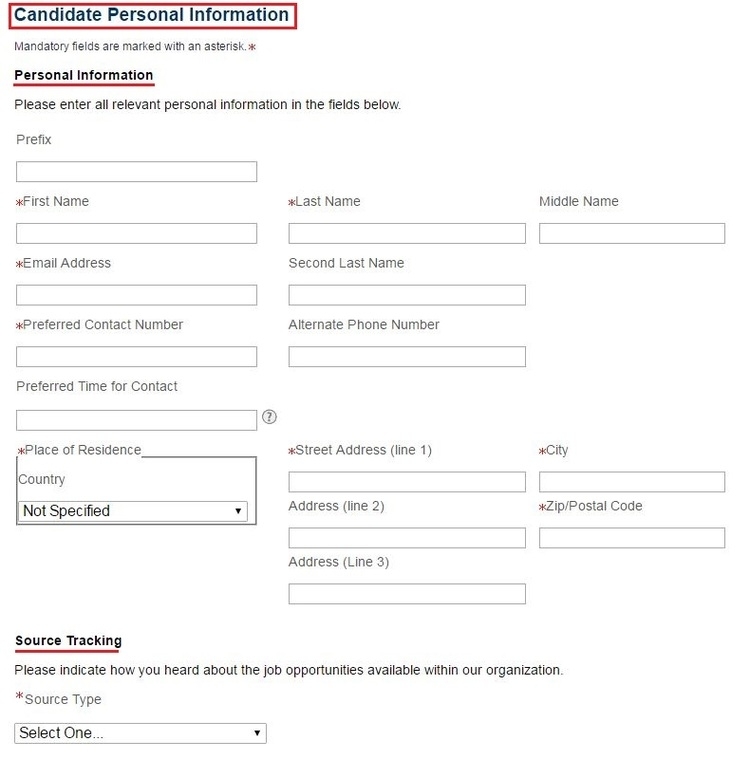 On this step, you are required to fill out some candidate personal information so that the interviewer can know more about you. What you need to focus is that you must enter information in all the mandatory fields that are marked with an asterisk. And you can attach some extra files to more specifically introduce yourself. When you've completely introduced yourself by uploading the resume and attachment, you are then required to offer your employment preferences and the preferred location to work at so that the recruiter in Citibank can better arrange a position for you. In addition, you have to add some details about your expected position and your profile information. To go any further of your online application, you need, at this step, to answer some questions as accurately as possible. This is the last step for your online application and you must check out all information you’ve filled out before carefully. If you find out some wrong info, just click the “Edit” button to revise it. Or if you are certain that everything goes well, you can just submit and wait fora call/email from Citibank. Click citigroup.com/careers to apply for Citibank jobs online.